I just wanted to share a great experience I had a few weeks ago. I’m in the process of looking for a new apartment and was referred to Dunston Manor, so I decided to go see what they had to offer and look at their property. While sitting reviewing the application and waiting to speak with the property manager Ms. Walters , who was helping a tenant, two other tenants came in and just the interaction between her and the tenants was so wonderful. She was very pleasant ,helpful and knew her business. She took the time to explain and answer all my concerns and questions. After exiting I saw one of the tenants that was previously in the office and asked her is Ms. Walters really so pleasant with her tenants , she informed me that she was the best property manager they’ve ever had . She said if you have a compliant or if something is wrong in your apartment she is on. She really cares about her tenants . This was very reassuring to me to know I can live somewhere and be happy with the services ~ Marion W.
Richmond is steeped in American history, but there is something for almost everyone to enjoy here. From art galleries to botanical gardens, sporting events to museums, unique boutiques to top-notch salons and spas, Virginia’s capital city is uniquely diverse and never ceases to impress and entertain tourists and locals alike. Virginia may be for lovers, but Richmond will prove to be a foodie lover’s paradise if one ever existed. Some of these tasty eats are available year-round, while other events happen just once a year—so be sure to plan in advance! In addition, some annual festivals are free to attend, while others require that you purchase tickets for entry. Many ticketed festivals are known to sell out quickly; if one is calling your name, it is strongly recommended that you purchase your ticket in advance. You are definitely not going to want to miss out on a single bite. Richmond’s Carytown neighborhood should be at the top of any foodie’s “must-eat” list. This “mile of style” is home to literally hundreds of restaurants, bars, and local stores. Carytown enjoys several festivals throughout the year, including their very own Food & Wine Festival. Participating local restaurants will be offering samplings of Thai, Indian, and Mexican food—and of course, good old burgers and fries—though this list is far from comprehensive. The festival also spotlights some of the best regional wines available. Don’t forget about Carytown’s annual Watermelon Festival, where you can get to enjoy as much of this tasty fruit as you can handle—in addition to delicious watermelon-inspired cocktails at nearby bars and eateries. Richmond has several farmers’ markets throughout the area at any given time. These markets are a great way to support the local community while simultaneously giving your taste buds a thrill. The 17th Street Farmers’ Market, located at the corner of 17th Street & Main, is one of Richmond’s most popular markets. Their annual Shockoe-on-the-Halfshell Festival is not to be missed if you love oysters! Fried, steamed, or raw, local eateries will be busy cranking out as many oysters as the crowds can handle. Even if you’re not a fan, you can still enjoy the tasty cold beer on tap and live music. If you would rather dive into a warm bowl of tasty stew, check out 17th Street’s Brunswick Stew Fest. “Stewmasters” from across Virginia will descend on Richmond to compete for the right to call their stew the best—get there early, and give one (or all of them) a try. If brats and beer are more your speed, fear not: Richmond’s annual Oktoberfest never fails to deliver the best of the best German foods around. Knockwurst, potato pancakes, pork roast, and broiled chicken, these hearty eats will have you unbuttoning your pants by the end of the evening. Local breweries and wineries will be joined by German breweries to provide a huge sampling of beers for the event. There will also be dancing, music, Christkindlmarkt, and activities for young and young-at-heart alike. For a souvenir, pick up a commemorative beer stein. Have you ever sampled an Armenian dish? For a truly unique dining experience, the annual Armenian Food Festival is sure to pleasantly surprise even the most well-traveled of foodie palettes. 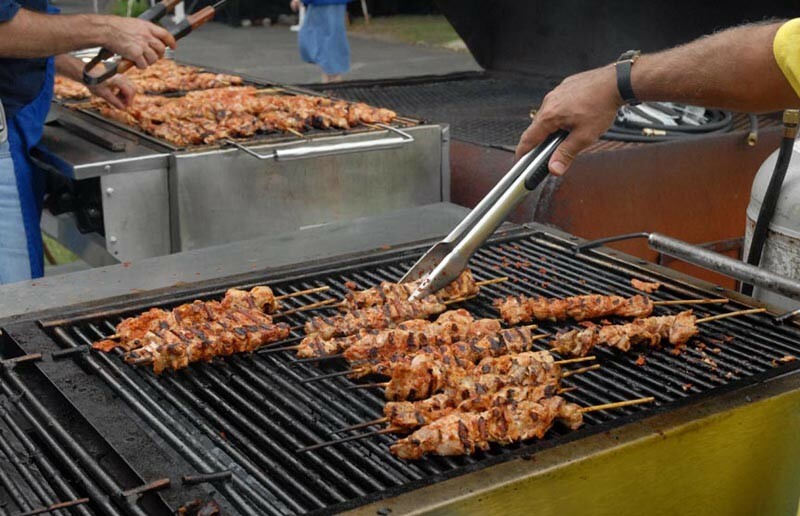 The festival has been going strong for over half a century, offering delicacies like Spinach Borek (a savory pastry with cheese and spinach filling), Derev Dorma (stuffed grape leaves), hummus, chicken and pork kebabs, and various ethnic dessert and bakery items. The event also features live Armenian music and dance groups at various times throughout the weekend. No customer wants to hear that message, especially if it’s the first time that they’re calling your company. Maybe they’re already frustrated with a computer failure or an online billing mistake. While the problem may not seem urgent to the professional, it almost always is for the consumer. They’re not likely going to want to listen to elevator music or an airline jingle played over and over. When they have to wait on hold for an extended period of time, frustration can start to mount, and that’s not going to be good for your business. But what if there was a way to make that wait time productive for both customer and service provider? On Hold Marketing can do just that by creating an on hold messaging program that will be an effective marketing too as well as enhance the image of your company. Rather than just filling the time, why not take advantage of the time your customers are spending on hold? Think about using that time to promote your company, to inform callers about a new product or service, or perhaps just entertaining the caller while they wait. If your customer is frustrated with the wait time, you may lose their business to a competitor. These days nearly everyone feels the pressure of being too busy. Staying on hold can often feel like a waste of time and odds are the caller will just hang up. They may or may not call you back. More than likely they’ll look up the number of a competitor, and you’ve just lost their business. On Hold Marketing knows the value of providing audio content that will engage the caller while they wait. Not only does this encourage them to stay online, well written scripts can lead to new sales opportunities through the marketing of other services and products. The first thing the professionals at On Hold Marketing will do is get to know your company. They’ll assess your equipment needs and help you put in place a plan that increases the caller’s awareness of the products and services you offer and, perhaps most importantly, reduce the number of hang-ups by frustrated customers. The professionals at On Hold Marketing will meet with you to discuss your business, the profile of your callers, your current marketing strategies, web sites and more. In other works, what makes your company and the services you offer unique? From that they’ll write the best script for you, constructing on hold messages that meet the needs of your customers. Once you’ve approved the script, two professional voice artists will record the text, and then the track will be mixed with soundtrack music appropriate for your audience. The in-house studio allows On Hold Marketing to listen to you, write the best script and produce the best recordings because all of the necessary resources are all under one roof. That allows for the creation of productions that will not only entertain your customers but can also inspire and educate them. As a member of the On Hold Messaging Association the processes at On Hold Marketing underscore a commitment to provide the best possible on hold productions for customers. Since 1989 Old Hold Marketing has helped customers alleviate the stress of a new marketing strategy and has helped to establish the best campaign for the company. Change those customer wait times in to marketing opportunities for your company. For more information or to talk to a customer representative call 800-342-0098 or visit www.onholdmarketinginc.com.